The $15 million, 128-room hotel from Chicago's Hyatt Hotels Corp. should be open by April 2015, said Kent Gregory, one of the hotel's franchise owners based in Savannah, Georgia. LANSING TWP. – Two new hotels and an apartment building under construction near Eastwood Towne Center are expected to open next year, after heavy rain this spring and summer delayed work. 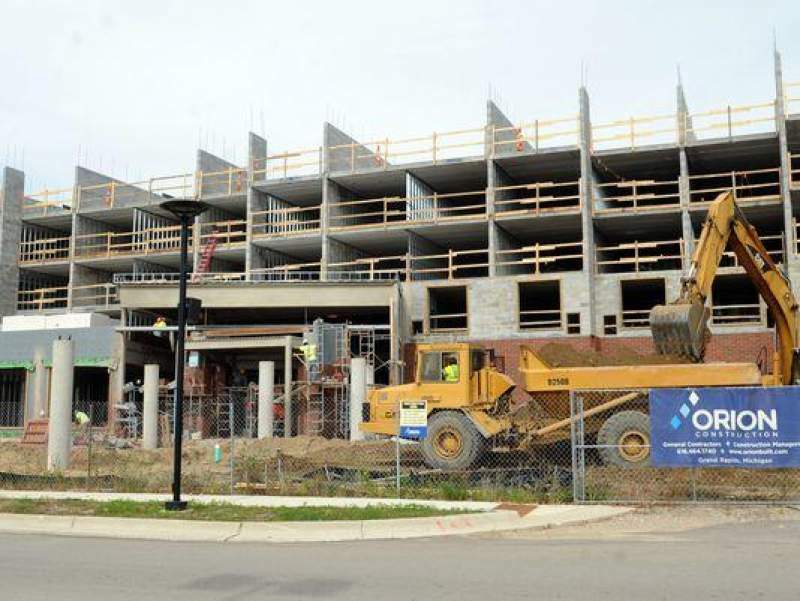 Hyatt Place and Fairfield Inn & Suites hotels are taking shape near the Lansing Township shopping center, located near U.S. 127 and Lake Lansing Road. So is a 124-unit apartment building from Lansing Township-based rental housing developer DTN Management Co. The township is the lead developer of The Heights at Eastwood, a $47 million public-private project north of Eastwood. Hyatt Place and DTN's apartments are part of the Heights project. The Fairfield hotel is located to the south, adjacent to the Eastwood mall. 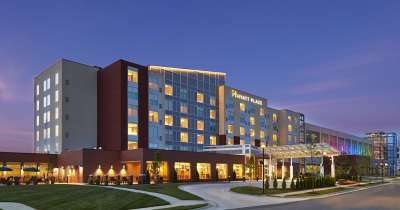 • Hyatt Place: The $15 million, 128-room hotel from Chicago's Hyatt Hotels Corp. should be open by April 2015, said Kent Gregory, one of the hotel's franchise owners based in Savannah, Georgia. Builders have reached the fifth floor of a six-story building, Gregory said. The project was delayed 24 days due to rain, during which builders were unable to work. • Fairfield Inn & Suites: The $10 million, 121-room hotel from Bethesda, Maryland-based Marriott International Inc. could open by July 2015, said Steven Hayward, executive director of Lansing Township's Eastwood Downtown Development Authority, which manages the shopping center. The hotel is owned by Lansing Township developer Mike Eyde's Preyde One LLC. The second floor is now under construction, Hayward said. • The Vista at the Heights: DTN's $17 million, 124-unit upscale apartment building could open in April or May 2015, said Raji Uppal, a DTN vice president. Nearly 40 construction days were lost due to rain or other inclement weather, he said. The Vista will offer one-, two- and three-bedroom units. Uppal said DTN won't start marketing the units for several months until an opening date is closer but the company has received early interest from prospective tenants. The building should have 32,000 square feet of retail space and 7,000 square feet for offices. Uppal said he is in talks with possible restaurant or entertainment-related tenants, but would not elaborate. • Hilton Homewood Suites: A planned extended-stay hotel from McLean, Va.-based Hilton Worldwide will be built north of Showtime Drive and west of Towne Center Boulevard. The Lansing Township board has approved the project, Hayward said. It will be owned by Mike Eyde's Preyde II LLC. A Hilton spokeswoman said the 109-room hotel has an anticipated opening date in the first quarter of 2017.